This week I received a congratulatory e-mil for having my site for one year. Many things have changed, evolved, grown, since that first month. While the site has been up for one year, it wasn’t until June that I began putting real content. During the entire month of November 2012 I had only 102 hits to our site. While I still don’t have the total numbers for November as of yet, in October it was 1,621 and November is trending to be bigger than October. My average hits for November 2012 was 4 hits per day. Today, November is trending at 69 hits per day. Although most of my earlier hits were where I checked to see how updates looked and navigate the page. A year ago I was not posting regularly, had no Facebook presence, no twitter presence. I was actually opposed to Facebook but decided to use it to reach more potential readers in June of 2013. That is about the time I started to regularly publish blogs and information. I have integrated my site to post updates on Facebook, Twitter, Google+, Pinterest, and LinkedIn each time there is a new article. You can follow, like, or + on any of these social media sites and I encourage you to like, and share. Help me reach more audience members. Adding these social media outlets has allowed me to reach people, and make new friends whom I normally might not have come across some local, some as far as Singapore, London, and Australia. A year ago I was working full time, trying to farm and garden, blog about it, and spend time with the family. I was spreading my time too thin across everything in my life. Today I am at home with the family, building more relationships, and focusing more time on building the farm, and educating others. I used to dread getting up each day, driving into work, and couldn’t wait for the weekends. I wake up each day happy and looking forward to “work”. When you do something you love it really isn’t work. I love teaching classes, I love expanding people’s knowledge and sharing what I have learned. This year I scheduled my first full day class on Homesteading. 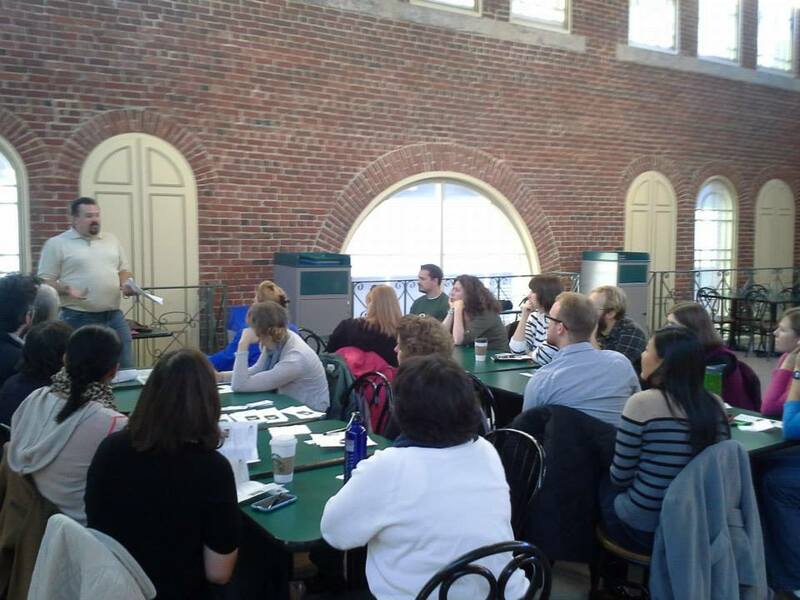 Up until this point I had been giving smaller classes to help a small business grow. I gave my first Trade School Indy class with more planned for next year. I also collaborated with two other presenters Jason Akers from The Self Sufficient Gardner, and Darby Simpson from Darby Simpson Consulting for my first 2 day conference on permaculture and sustainable agriculture and cofounded Midwest Sustainable Education Conference. Both of which still have openings, but are having seats filled almost each day. 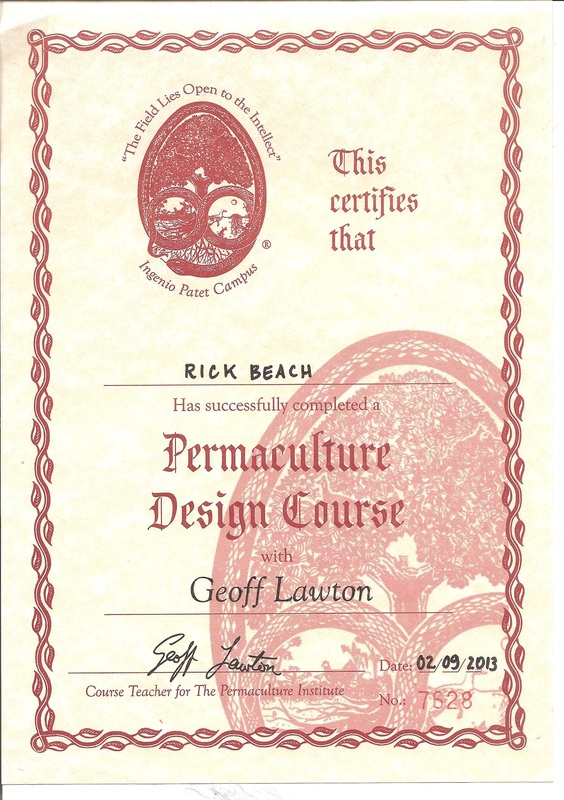 After learning about permaculture and beginning to implement at my property five years ago, I was finally able to achieve my Permaculture Design Certificate. Due to the distance, and time constraints I would have probably never been able to take one of these onsite at a location and especially from Geoff Lawton himself. I was able to be part of Geoff Lawton’s online PDC. I think I actually got more from the online class than I would have gotten from an onsite course. I can and have reviewed the videos on a few topics. There was the Earthworks bonus DVD, Soil DVD, Edible Forrest I and II, then all the bonus Q&A videos. I estimate the 72 hr course was really more like 120 hour. Some skills and principals I had learned over the years, but the course put things into a different perspective, and I understood why the principals worked vs. just knowing that they worked. A year ago I had one aquaponic system which was an ever evolving design. Today I have 4 systems in operation. A year ago we had 8 laying hens, today we have 25. Not all reside at our suburban home however. A year ago we would have never let people tour our property. Today we have regular tours and help show people just some of the possibilities of what you can accomplish in a suburban back yard. A year ago we had three fruit trees on our 0.2 acre lot and had not gotten any fruit thus far. Today we have 8 fruit trees, numerous fruiting bushes, and vines climbing all over. We now also have access to 20 fruiting trees, berry bush patches we nurtured over the last year. We were able to can over 100 jars of homemade applesauce. We harvested peaches, pears, raspberries, blackberries, and a variety of apples this year. Normally we would have bought all this fresh fruit. We reduced our water bill significantly by using deep mulch and water collection through rain barrels. A year ago we were spending thousands of dollars on child care. This year we have none. A year ago 90% or more of our food came from the big box stores. Now it is less than 40%. What we don’t produce ourselves, we buy or barter with other local producers. A year ago we paid big bucks to bring dangerous chemicals into our house in the form of soaps, laundry detergent, and toothpastes etc. Today we make our own from natural alternative at a fraction of the cost and without the harsh chemicals. As a result we feel out health has improved. A year ago I was working on a job I hated and worked 40+ hours a week, spent a great deal of time in the car during a commute, and had not much more money in my pocket if I had not been working. After gas, child care, and other related expenses, I wasn’t really bringing home that much more money. While at home, I spend more time with my family, I can get more chores done around the house, make my own soaps, grow my own food, and make more home cooked meals. What I save from doing these activities makes up for what little money I lost by working full time. I have started writing for a variety of publications such as Aquaponics Survival Community, PREPARE Magazine, Brink of Freedom, and Midwest Sustainable Education Conference in addition to what I publish here. I think I have come a long way in just a year. This is not to brag about all that I have done. It is a way to journal, and show what you too can accomplish. This is just after one year. 2014 will be better yet. We have more classes, more growing activities, more tours, and more expansion of our microfarm. Many plants that were planted this year will be producing next year such as Kiwi, Goji berries, hops, and grapes to name a few. With new partnerships, new friends, and new connections I can reach more people, teach more people, and share more on how you too can accomplish things like this. While it is only November, think about what you want to accomplish next year. Is it to grow more of your own food? Is it to have your own back yard flock? Do you want to learn how to can some of your own food? Do you want to free yourself from harsh chemicals in your home? Do you want to free yourself from the 40 hr work week? Do you want to learn how permaculture and sustainable agriculture can help you accomplish this? Start thinking about how you can take control of your life and stop letting things and others control it for you. Attend one of the upcoming classes. Or contact us for how we can help. January 11-12 Sustainable Agriculture which is for both urban and rural properties. Educational farm teaching regenerative agriculture practices. Life. Poverty. The Pursuit of Happiness. This is my blog, more of a web-based journal... I pull no punches, and do not self-censure! Orangevale, come GROW with us!